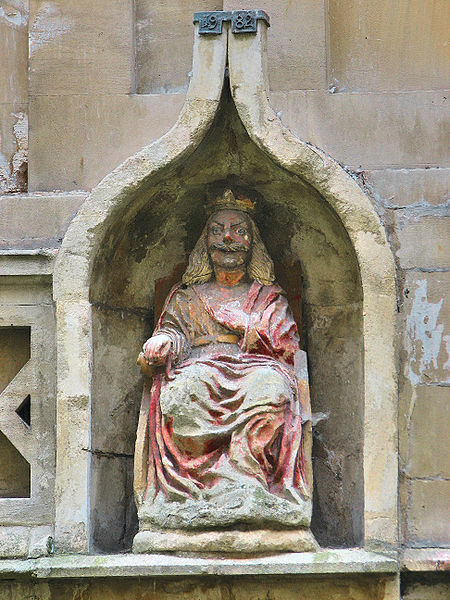 King Bladud is the legendary founder of Bath and his story in the History of Bath has been embellished and revisited many times. Here’s one version: It was the year 863BC, and our story starts with Bladud, in his youth, studying in Athens, where he unfortuanetly contracts leprosy. Returning home to Britain he realises that an imperfect prince like him could never inherit the throne. Banished from court he is forced to be a swineherder. Living close to the steaming muds of Bath’s hot spring, his pigs would roll in the warm mud. He notices that his pigs have clean and blemish free skin, unlike other swine. He decides to bathe in the volcanic mud and is cured of his leprosy. 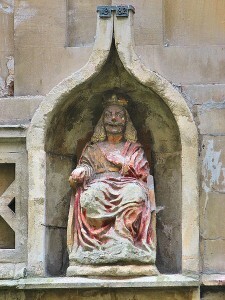 Bladud takes his rightful place as King and founds the city of Bath, building a temple to Sul, the local celtic goddess of the springs in gratitude for curing him. And of course starting the tradition of visiting Bath to take the waters. This entry was posted in Uncategorized by Bathman. Bookmark the permalink.